Zebra flowers and zebra ribbons calling all Zebra lovers. 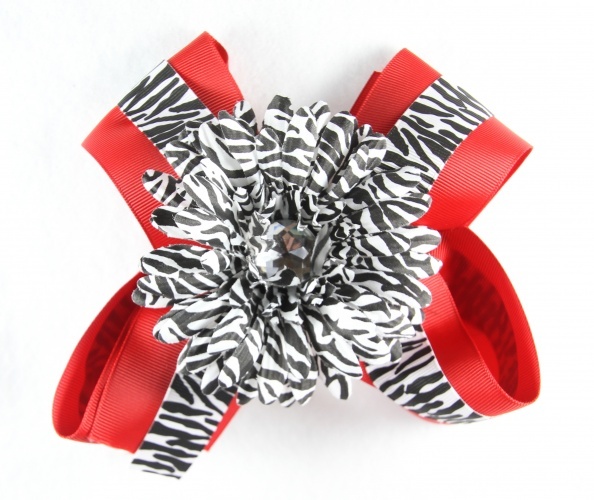 This is a double layered bow with a large red 2 1/4 inch grosgrain ribbon that is layered with a 7/8" zebra grosgrain ribbon. 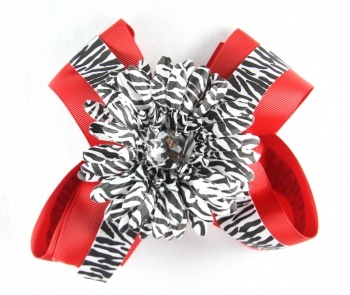 Then a zebra print flower is layered on top with it's own alligator clip, so it can be detached and worn alone. So also the bow can be worn alone too, so this is also a 2 for 1 deal.